Session drummer turned pin-up teen heartthrob turned socially-conscious soul poet turned voice of a generation, Marvin Gaye stands as probably Motown’s greatest male solo artist. His Motown career falls into three distinct phases, all of them phenomenally successful on both a commercial and artistic level. 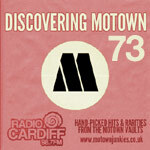 His early- to mid-Sixties singles blended R&B, pop and rock influences to dominate dancefloors and land numerous big chart hits; his landmark late-Sixties singles (and his duets with Tammi Terrell) conquered the radio all over the world; and his Seventies Motown LPs, in particular What’s Going On and Let’s Get It On, routinely hailed as among the best albums of all time. As well as a great singer, Marvin also proved himself a superb writer, both for himself and for others, his relationship with the group the Originals showing another facet of his work. With sales slumping in the late 1970s, Marvin eventually left Motown to start afresh, and experienced a brief career revival before his murder (at the hands of his own father) in 1984.